If you are passionate about sports education and are looking to raise some funds for your team, starting your own clinic might be the ideal next step for you. Summer is around the corner and athletes are getting pumped up for summer camps and clinics. The responsibility of starting a clinic from scratch may seem overwhelming, but we have broken it down to help you organize the process. Planning an event takes a lot of work. Depending on the size of your clinic, you might need to delegate some duties to assistants or team parents with great organizational skills. 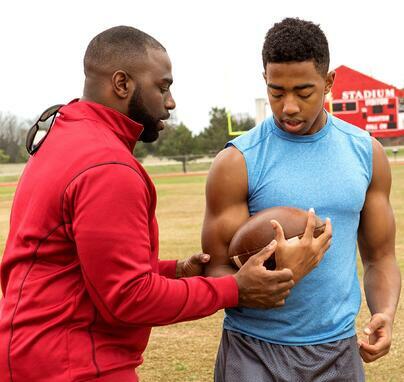 Additionally, if you plan on running more than one session at a time, you should hire other coaches to teach. Look into local college sports programs to gain volunteers. College athletes may not be able to accept financial contributions, but many of them do need volunteer hours and they have the fresh skills you need. What is your clinic going to specialize in: Speed, tackling, drills? Or do you want to simply create a better understanding of the game? Will you focus on an age and/or gender? Build your clinic based on your strengths and knowledge as a coach. You can’t really have a clinic if there is nowhere to practice. Make sure you have the necessary permissions, before moving forward on a location. If you are a coach for a high school, you may be able to use the school’s space. If you don’t have this access, look into city parks and recreation centers. How long is your clinic going to be? Is it going to be a few hours, one day or a two weeks? The longer the camp the more time you should allow yourself to prepare. Once you make this decision, you can move on and choose a date. Remember to consider summer holidays such as independence day when many families go out of town. How many athletes will you be able to register? This may depend on the number of coaches you have to teach the clinics. To make sure each athlete gets ample attention, you should keep the ratio around 6-10 players per coach. As a coach you know that with sports comes injuries. It’s bound to happen. In the event of an injury, you want to make sure you have the proper legal protection. Hire a lawyer to draft you a legitimate injury waiver and answer any legal questions about your clinic. Alternatively, you might be able to find a sample waiver form online. If you plan on taking pictures at your clinic (which I highly encourage), make sure to include that in your waiver. You always want to get permission if you’re taking pictures of people, especially if you plan to use them in future marketing handouts. There are somethings that just cannot be foreseen. What if someone breaks the basketball rim of the rec center? Or a fire occurs. Purchasing a one time insurance policy could save you money in the long run. Now the fun part! From the time players walk in the door to when they leave, you need to outline what’s going to happen at every moment of your clinic. It will help to break the agenda down by sessions. Include time for registration, introduction, warm up, rest and meal times. Use your creativity to make the sessions fun for the athletes, but don’t forget to feed them! Nothing drags an event down like bored or hungry teenagers. Work with other organizations and sports leagues in the community to gain customers and possible partners. For example, if you partner up with the recreation center as a venue, you could ask to get into their summer brochure. Partner up with booster clubs, PTSO's, local athletic clubs to help spread the word and offer a group rate to attract new participants on the organizational level. Small local publications, student radio stations, school websites and community calendars are easy, and often FREE ways of creating a little publicity around your event. Additionally, many media sources have a spot specifically allocated to community announcements. Write an article or a press release you can share with local publications who would be willing to highlight your clinic. Reach out to your local TV channels, radio or newspaper to see if they’re willing to pick up the story well ahead of time, to make sure they can schedule you in. Running a sports clinic can be costly and having sponsors is a great way to gain support and raise funds. Before you reach out to companies, be ready to outline what you can offer them in terms of advertising. You want to be able to establish a mutually beneficial relationship for both parties. The best way to do this is through a media package. Learn more about how to attract corporate sponsorship. Be excited and energetic. Showcase your love for the sport and the athletes will pick up on that. Don’t play favorites. Make all of the players feel included. Maintain the flow of your clinic by sticking to the schedule. You definitely want to give your players breaks, but you don’t want them doing nothing for extended periods of time. Keep a list of participants. This will come in handy when you want to email market your next clinic to previous customers. After the clinic is over, send a “thank you” letter or e-mail to all of the participants. This would be a great opportunity to ask for reviews and feedback. If you have a Facebook business page, there is an easy way to leave reviews. Take time to reflect on how your clinic went. What worked? What didn’t work? Could you have used more time to plan? Did you need more volunteers? Answering these will highly improve your next clinic. Make sure you have an accessible list of parents’ phone numbers in case of emergencies. Keep a first aid kit on site. As a coach, it might be worth it to become a certified first responder. Safety should always be a priority of your clinic. Set aside time in your clinic to institute daily gear checks. Check that all the players have the correct gear and that it’s properly fitted. Helmets should be snug and mouthguards should be worn (not chewed). Teach the players about the importance of sports safety and wearing the right gear. As you can see, there is a lot to think about when planning a sports clinic. But as a coach, it can be a very rewarding experience and a great way to raise funds for your home team. With enough planning, help and organization, you can run a very successful clinic, no matter which sport!